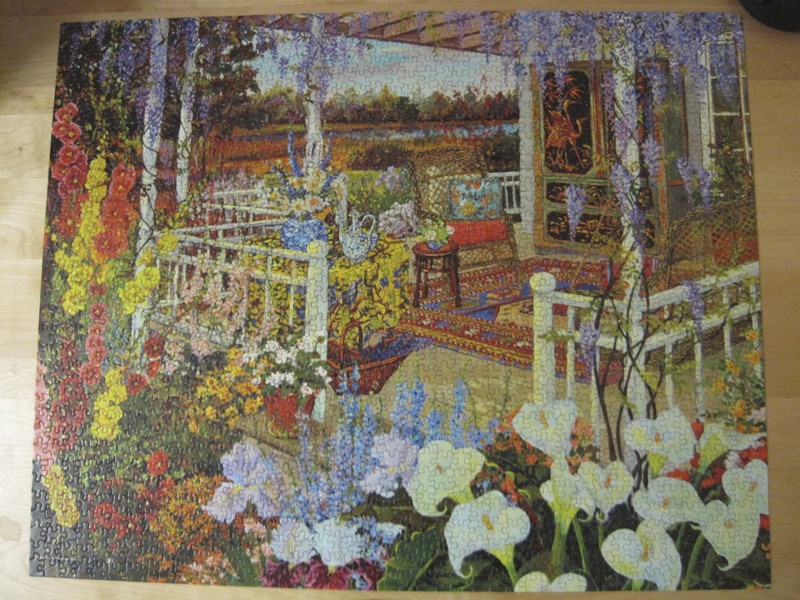 Okay so it’s been a while since I last posted and a lot has happened to me since then.. but why hear about that when you could just see my puzzles. It all started with some good old horse betting. 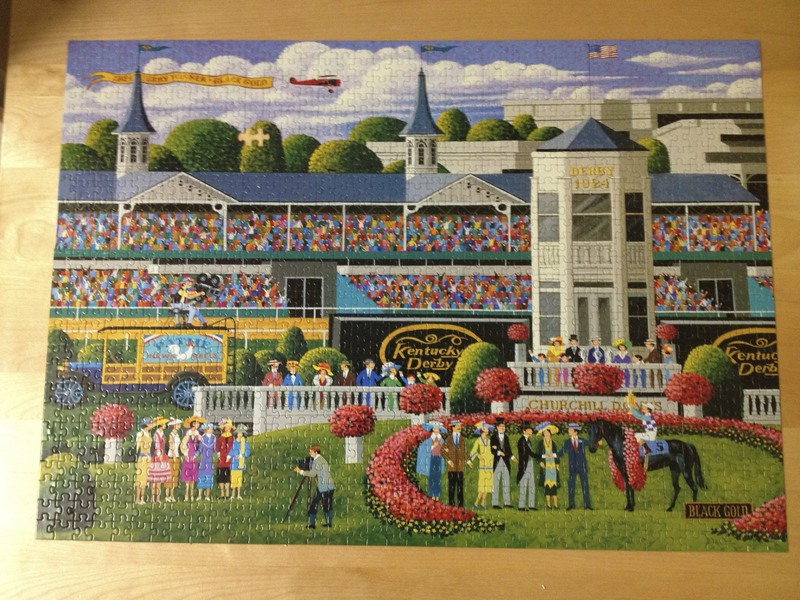 This puzzle took a night or so, in which I analyzed the social hierarchy at the Kentucky Derby in 1924. While puzzling I think I listened to Lana Del Ray’s Off to the Races 1000 times and can tell you that the races Lana goes to are much sluttier than this one. 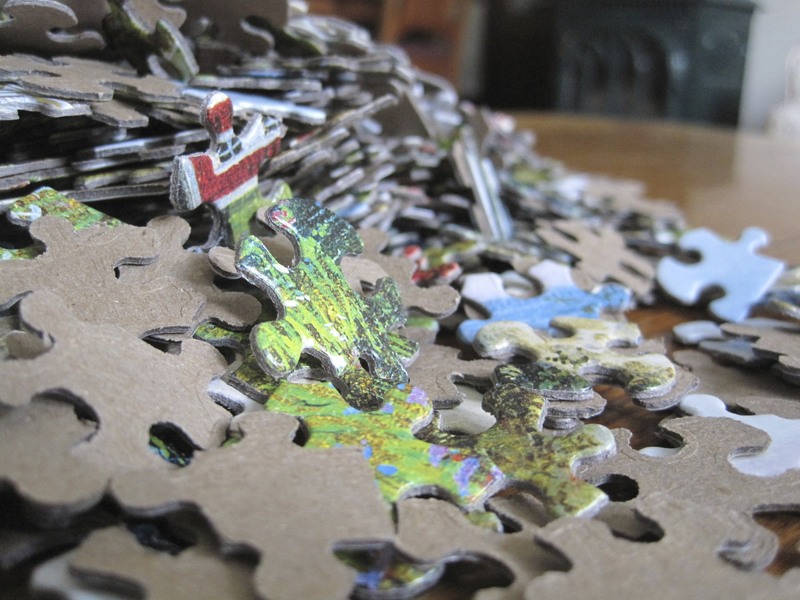 If you are sick of all these puzzle posts.. that makes sense. But I probably won’t stop. 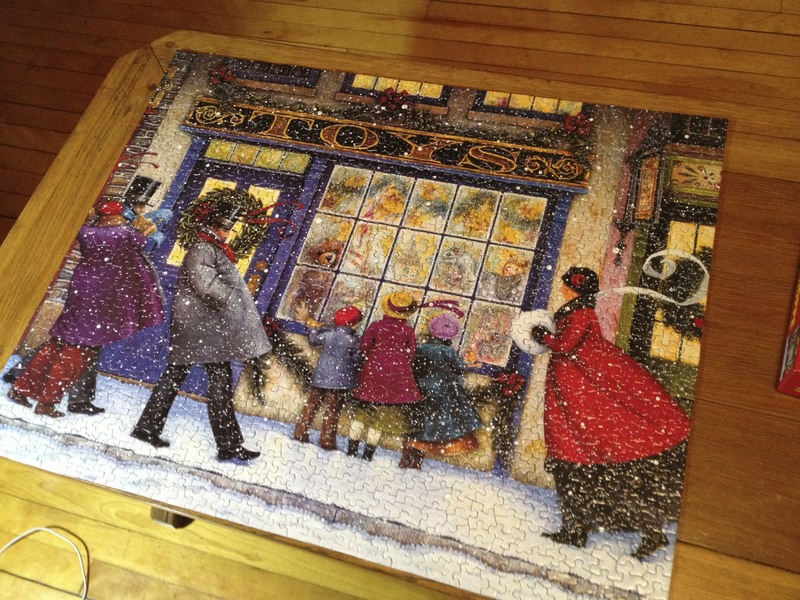 I finished this 1500 piece puzzle over the weekend. It took me forever. 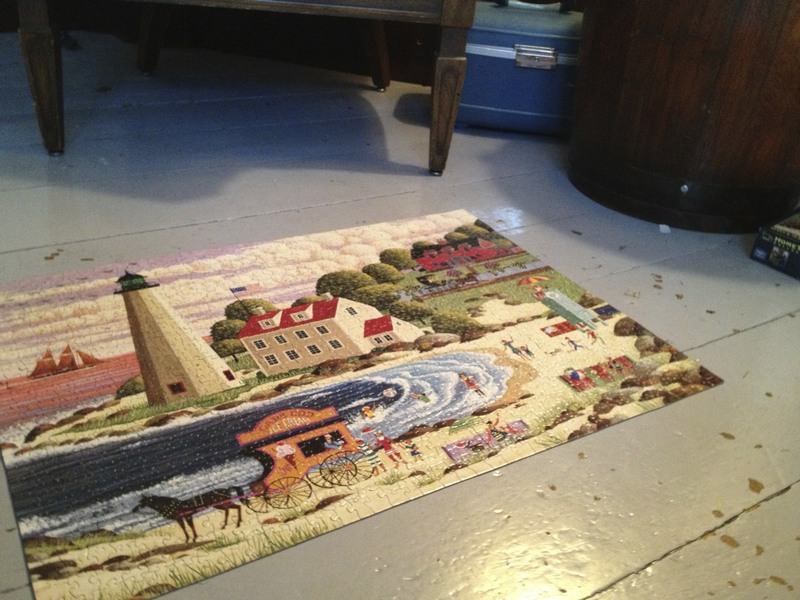 Puzzles are great, but puzzles on the floor lead to hurried scoliosis. I regret the whole thing. 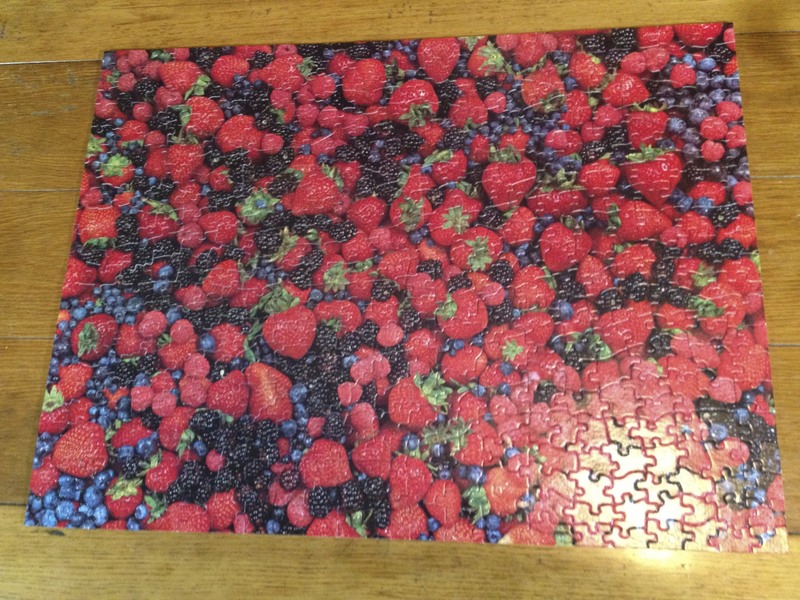 Just starting my puzzle. Don’t know why but it smells weird.